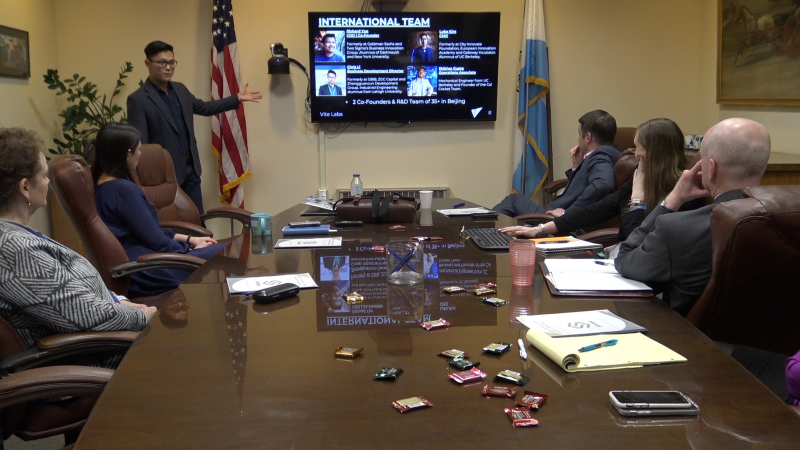 On March 28th, Vite’s partnership with Syracuse in New York was announced. The plan of deploying a city coin to Syracuse was approved by the mayor of Syracuse. Check video here. On March 15th, the Vite Wallet Airdrop participants will have the opportunity to become a lucky winner every day. The lucky winner will receive 1000 VITE as a reward. In addition to the 1000 VITE Grand Prize, participants will also have the opportunity to receive VITE rewards ranging from 50–200. On March 26th, ViteX economic model of the DEX was released. Check details here. On March 29th, the Vite iOS wallet was updated to version 2.0.0. The new wallet supports ETH and ERC20 tokens. Users can manage VITE and ERC20 related digital assets on Vite wallet. An article about Vite was published on Distributed, which emphasized how stablecoins use the advantage of Vite technology. Content can be viewed here. On March 27th, Vite was listed in Delta Direct App. You are welcome to visit Delta to check out Vite’s recent news. Fixed the delay bug of the contract response. Fixed the risk of crashing in the NET module. Optimized data structure on chain, optimized account block structure, removed display reference and snapshot hash, decreased complexity of snapshot chain and user chain cross referencing to reduce fork rate. Redesigned the quota calculation method. Contract chain now supports RS block; RS block is a special block composed of one response and multiple requests to improve the storage efficiency of the contract chain. Improved optimization of random number implementation scheme. Optimized ledger storage scheme. The physical structure has been optimized and random writing has been changed to sequential writing. Multi-level storage improved query cache hit rate. Optimized ledger synchronization scheme to decouple the logic of downloading and writing in order to achieve asynchronous downloads of the ledger. iOS v2.0.0 release: updated UI and address management; added ETH and ERC20 access. The development of vitejs 2.0.0-alpha was finished. Mainly changes are: package split, code structure refactoring, business logic refinement such as support for address identification. The Web version DEX has been accessed and the documentation finished by 15%. iOS GRIN access development is completed and ready to test. Android push function is under development. Crash problem was solved. ETH access is on system design. ETH and BTC cross-chain gateway: developed address balance, pipeline, time reconciliation, balance alarm and risk control strategy. GRIN Gateway: the collection of exchanges and transfer money to individual GRIN wallets has been entered into test period. The key logic of the smart contract began testing and completed by 70%. Optimized the amount of precision calculation and improved the exception handling logic. The adjustment of the back-end core services of the exchange is finished by 40%. On March 14, we released an interview quiz video on Twitter based on Vite interview with Cryptodealers, and announced the answer with the list of winners on March 15. An interview quiz was released on March 27th. Watch the video of Vite CMO Luke Kim with Toks.Tech and answer the quiz to win rewards. With the expansion of international business of Vite, an Indonesian translator is needed. The specific requirements can be viewed on Vite Forum. 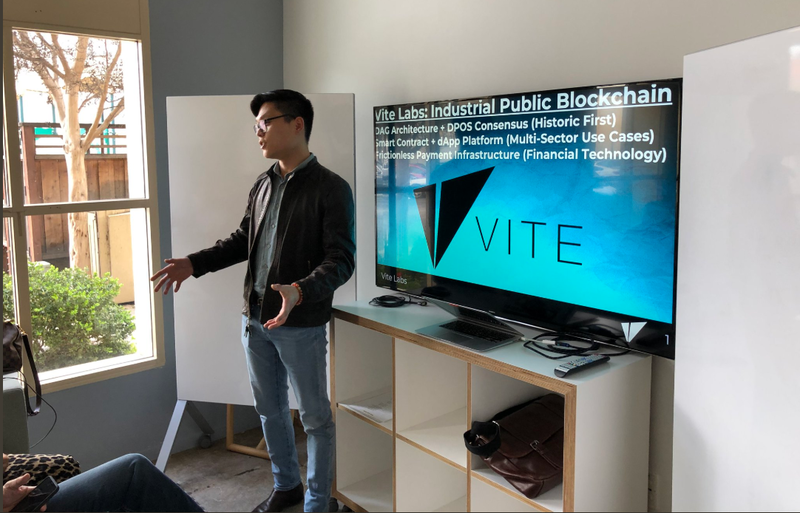 March 27th, Vite CMO Luke Kim was invited to introduce blockchain technology and Vite and to the Brazilian bank executives at Banco Do Brasil. On March 28th, Vite CMO Luke attended the Dutch Blockchain Coalition hosted by the Dutch Consulate in San Francisco. As a guest speaker, Luke called on the community to promote and embrace blockchain technology.